Choose Your Hype: Hip Hop Candy's Child's Play Fundraiser! Hip Hop Candy's Child's Play Fundraiser! The cutest shop, HipHopCandy, is hosting a fundraiser for Child's Play, a non-profit video game based charity! 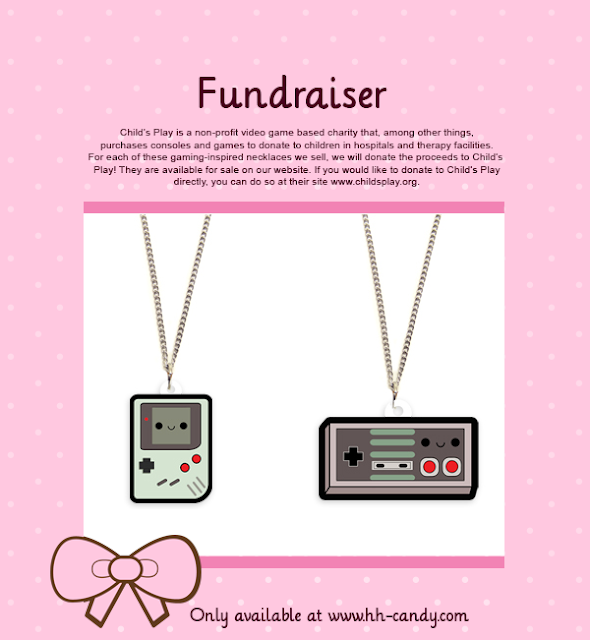 Just buy one of the two Old School gaming necklaces and the proceeds go to the charity! Lime Crime New Palette Release Preview!